In London in September? 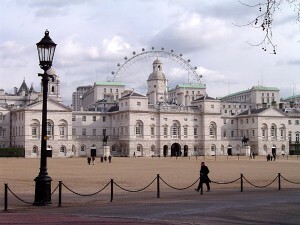 Once a year the doors of London’s most prestigious buildings are thrown open to visitors, and it’s all free, says Holiday Goddess Handbag Guide to London editor, Andreina Cordani. Picture a street in London and you might imagine a block of flats, or a neat line of Victorian terraces, or maybe something a bit more modern. But you’ll imagine the doors firmly shut. Unlike many other capital cities, Londoners don’t leave their doors open, come out onto the street to chat or invite you in to have a look around. But once a year some of the most striking buildings in the city do just that. It’s been more than 20 years since the first Open House London, and since the Open House idea has spread to 25 cities worldwide. 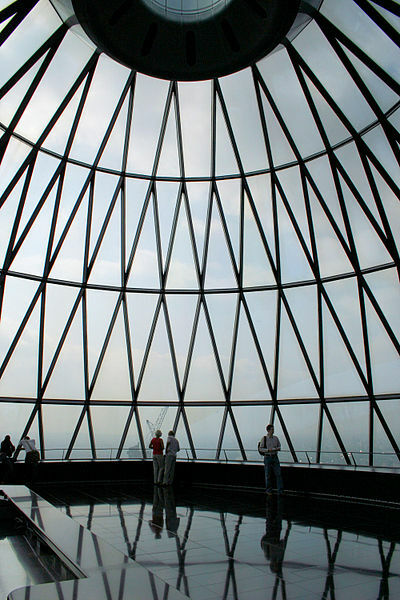 Every Autumn, over 750 London buildings throw their doors open to visitors. 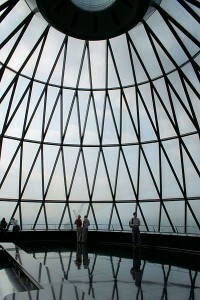 You could find yourself peeking into an esteemed architect’s personal Concept Bathroom, staring up into a six storey atrium of a huge office block or getting a peek inside some of London’s most iconic buildings such as the Gherkin or (if you’re prepared to queue for several hours) the Bank of England. And – here’s the good part – it’s all free! If historical places are your bag, check out London Guildhall – you’ll find layers of building that started in Roman times and date all the way up to the 2000s, the Reform Club (from where Phileas Fogg set off on his 80 day Victorian backpacking tour) and countless churches. If that’s all too old fashioned for you, take a peek at Jimi Hendrix’s old flat or backstage at some of London’s top theatres. For the more architecturally minded you can head out of the centre to boroughs like Islington and check out some amazing private homes. London is a crowded city with rigid planning rules – and it’s amazing to see the imagination and magic that can transform a tiny site into an amazing, imaginative piece of space. In these more recent projects, the architect is often on hand to explain things – just in case you have any technical questions. You don’t really have to be an architect to appreciate it though, just a curious person with a good pair of walking shoes – the biggest problem is deciding which part of London to focus on and getting yourself from place to place. Even if you’re really determined you probably won’t see more than five buildings in one day. Another alternative is to go on one of the free guided walking tours going on all over the City – from the alleyways of Spitalfields to Soho stories, from cute local finds in Harringey or Hounslow to urban renewal and nature conservation in Tottenham or King’s Cross. Intrigued? Go to www.londonopenhouse.org to find details. Nearer to the time, try to pick up a printed programme, it makes it easier to browse through and tick the places you want to visit. Some require pre-booking and some of the smaller sites have limited access so for the best results, it’s definitely worth planning in advance. Happy exploring!